Nick Siviglia, Sc.D., Ph.D., is the founder, President, CEO and Director – Research & Development of Lancaster Contact Lens. He has been in the contact lens field since he was 14, and is an internationally-respected leader in the field of corrective contact lenses. Parents: Italian and French immigrants. At 14 years of age, Nick went to work on a summer job at Morrison Laboratories in Harrisburg, PA, putting together one of the first Elgin lathes purchased by Dr. Morrison. He also participated in the manufacturing of the first lenses at that lab. 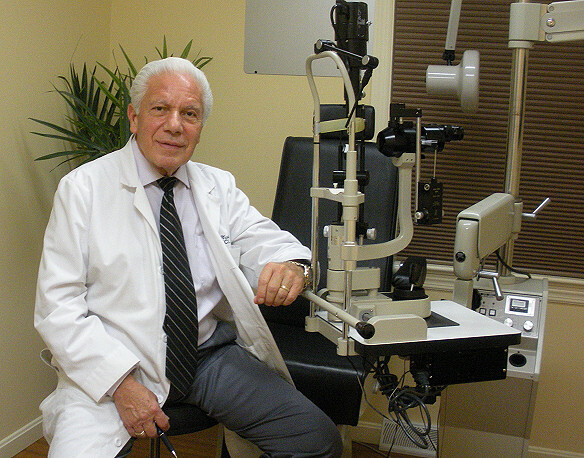 After finishing his collegiate education, Nick went on to work as the Director of the Contact Lens Department at Milton S. Hershey Medical Center from 1974 to 1979. From 1979 to 1980 he was Director of the Contact Lens Department at Osteopathic College of Medicine in Philadelphia, PA.
Nick was an independent contractor at the Wills Eye Hospital in Philadelphia, PA from 1980 to 1999. He is an Honored Fellow of the Contact Lens Society of America with 18 patents in 9 countries. Opthalmological Clinics of North America; Volume II June 1982 pages 291-299. Guide to Basic Science and Clinical Practice: Chapter 2, a chapter on Keratoconus disease; Chapter 55C is on his patented Ni-cone Keratoconus and Post PK lens; Chapters from 55C -0 to 55C -6 references included. He also has been published in numerous professional contact lens magazines. Currently Nick enjoys doing live grand rounds with any hospital, institution, or society that will provide Keratoconus patients, post penetrating kertoplasty patients, or patients with traumatic irritation to the cornea.